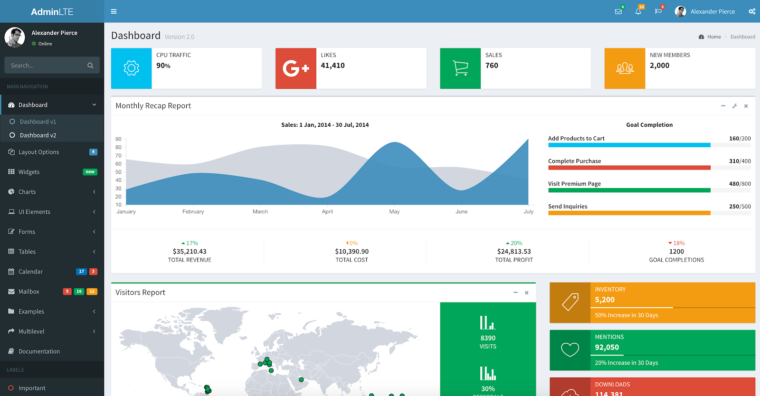 AdminLTE is a great dashboard template based on Bootstrap 3. I’ll integrate AdminLTE to Rails application using bower in this post. Usually, in development, I use slim as a templating language. So let’s install slim in our application. And change .erb templates to .slim. To make that we can use html2slim utility. To deploy the application with bower’s assets, we can use capistrano-bower gem. Time to install AdminLTE plugin. Add AdminLTE to bower.json file. Also, you can install AdminLTE template using Node package manager (npm). To deploy the application with npm, use capistrano/npm gem. When integrating some template the first thing you should start with is dependencies configuration. For the AdminLTE theme, dependencies are described in the documentation here. They are Bootstrap 3 and jQuery. jQuery is installed by default in each Rails application and you can verify it in the default application.js file. After including dependencies, we can include AdminLTE assets to the project. Usually, template sources are stored in dist path. In AdminLTE skins path saved a color theme for a template. One project can include any theme. After all the action we get the following assets files. For example, use this link to integrate AdminLTE template. Create application.html file with the source code of starter page. Remove scripts on end of app/views/layouts/application.html.slim file. Now we can start rails server and check AdminLte rails template. At last, fixing icons and fonts. For this, add styles to application.html.slim. Hallelujah! 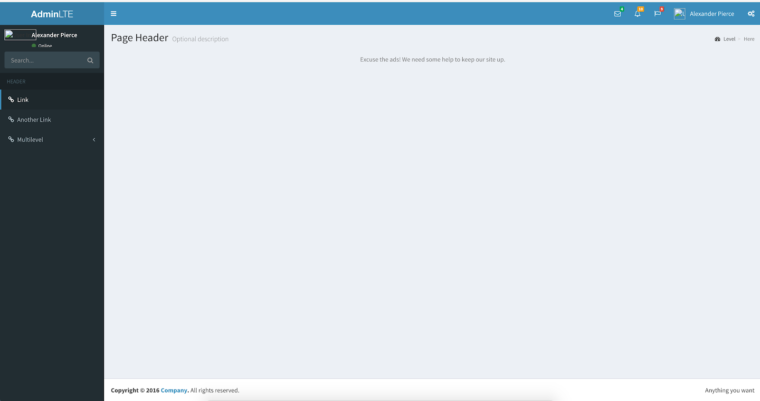 We integrated AdminLTE template to rails application. 3) to include template assets. And finally, the main advice from me is to read the documentation carefully. It remains for me to wish you success in your work!